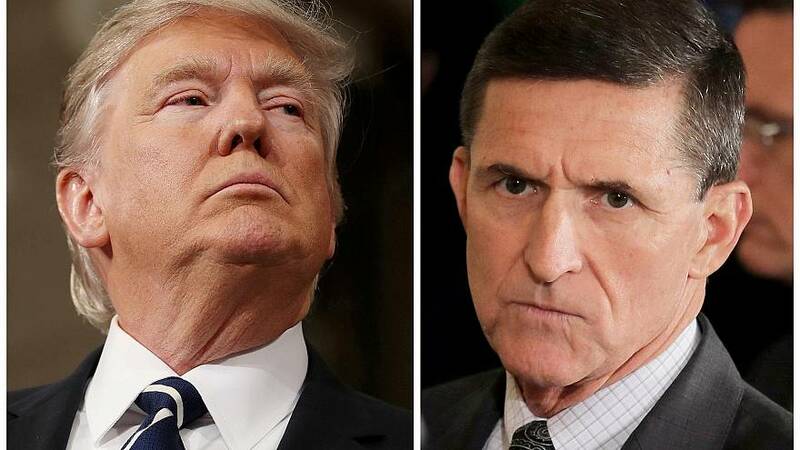 US President Donald Trump said on Saturday that actions by his disgraced former national security adviser Michael Flynn during the presidential transition were "lawful" and said that there was no collusion between his 2016 election campaign and Russia. Trump said on Twitter that he sacked Flynn in February - after just 24 days in office - because he had lied to Vice President Mike Pence and to the FBI about his contacts with Russia. "He has pled guilty to those lies. It is a shame because his actions during the transition were lawful. There was nothing to hide!" Trump wrote. Trump earlier told reporters there was "absolutely no collusion" between his campaign and Russia, in his first comment since Flynn pleaded guilty to lying to the FBI. The president has repeatedly called special counsel Robert Mueller's probe a "witchhunt". Critics, however, say Trump should be worried. Not only has his former campaign manager Paul Manafort been charged in the inquiry, his former national security adviser Michael Flynn admitted on Friday (Dec. 1) having lied to the FBI about his contacts wth Russia and, as part of his guilty plea, agreed to cooperate with the investigation. The dramatic turn of events raises the question of what Flynn might tell prosecutors about the Trump team's ties with Russia, and whether more officials will be charged. US media reports say Trump's son-in-law Jared Kushner is now a key focus of the inquiry. "General Flynn is one more example of the extent of ties between senior officials involved in the Trump efforts and the Russians," said Democratic Senator Mark Warner. Flynn admitted in a Washington court on Friday that he lied to FBI investigators about his discussions last December with Russia's then-ambassador to the United States, Sergei Kislyak. In what appeared to be moves aiming to undermine the policies of outgoing President Barack Obama, the pair discussed US sanctions on Russia, and Flynn asked Kislyak to help delay a United Nations vote seen as damaging to Israel, according to prosecutors. Flynn was told by a "very senior member" of Trump's transition team to contact Russia and other foreign governments to try to influence them ahead of the vote, the prosecutors said. Sources told Reuters and NBC News that "very senior member" was Jared Kushner, a key member of Trump's transition team and now the president's senior adviser. Kushner's lawyer did not respond to multiple requests for comment. "This does not seem at all to be the end of the investigation. If anything, one would expect that we are going to now see, perhaps other dominoes will now fall," said Professor Miriam Baer of Brooklyn Law School.